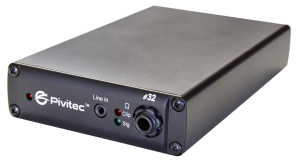 Pivitec's Network Audio Interfaces offer true networked audio solutions based on Ethernet AVB standards ensuring a future proof path to expansion that are ideal for applications in Live Sound, Recording, broadcast and commercial installations. 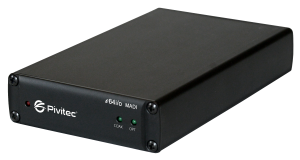 In addition, AVB integration allows Pivitec Modules to be used as Recording & Playback interfaces from Mac OS X & other AVB equipped PCs as well as AVB compatible consoles. Build the ultimate Personal Monitor System using Pivitec’s e32 Personal Mixer with the addition of Pivitec’s V2Mix® Pro Personal Mixer Control app for iOS devices.